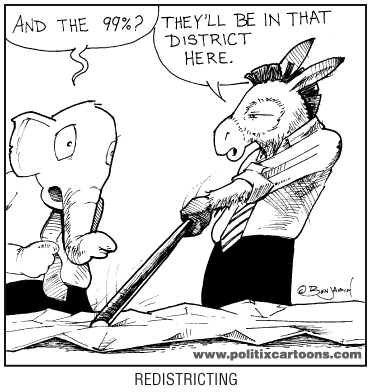 The long saga of Colorado’s Congressional redistricting and state legislative district reapportionment has been decided for the next decade by the Colorado Supreme Court in a pair of recent rulings (ruling to uphold Denver District Court Judge Robert Hyatt’s ruling on Congressional Redistricting December 5th, then ruling to uphold the Colorado Reapportionment Commission’s resubmitted state legislative district maps on December 12th). 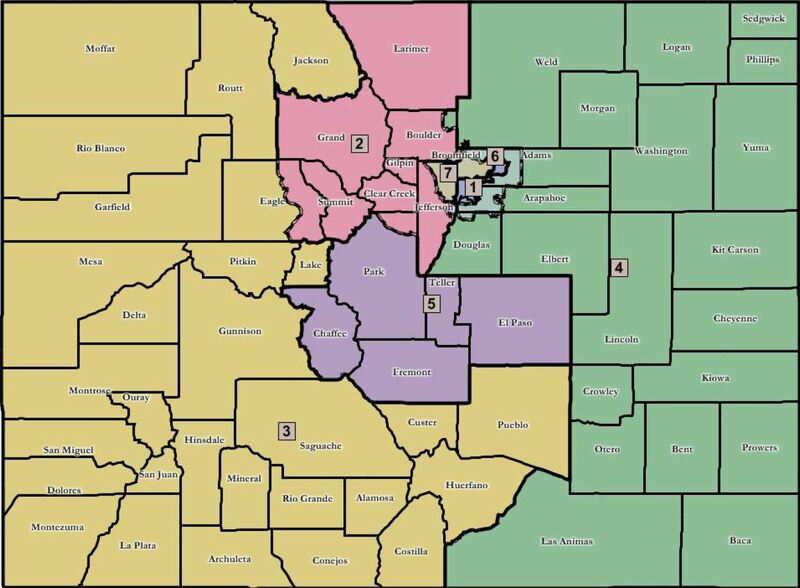 Over a million Colorado citizens weren’t laughing when they discovered they’d been moved into new Congressional districts by court order, and even more Colorado voters didn’t get the joke when they were shuffled into new (and at times bizarrely formed) state legislative districts, either – contrary to the views expressed by countless individuals who’d testified at many hearings over the summer (one round of hearings in June, followed by another round of public hearings on maps incorporating public comment and testimony throughout the month of August) and contrary to the objections raised by numerous city and country governments filing legal challenges against the commission’s constitutionally suspect maps. Additional information is also available on the Reapportionment Commission website.